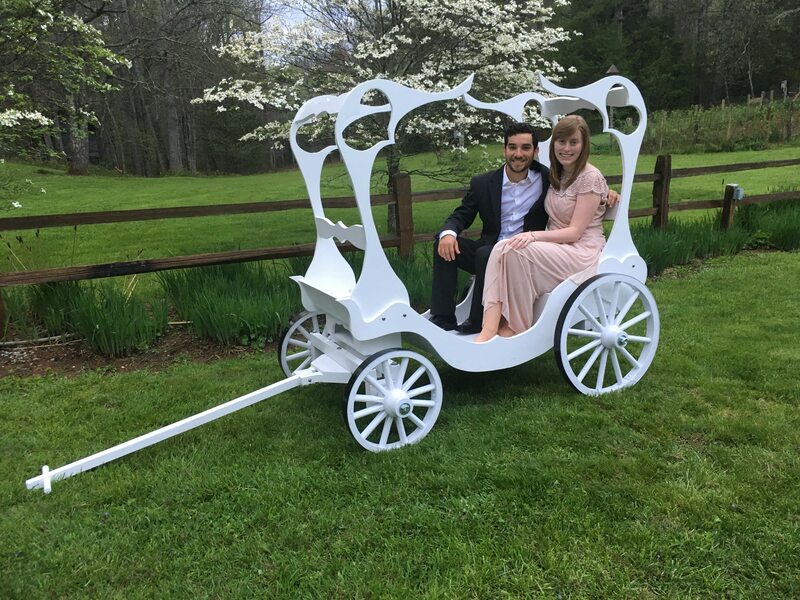 The price of $3998 is for our Adult Cinderella Carriage in White or Ivory, with the wood canopy top (as pictured) but without shipping costs. Please contact me, Ed the Craftsman, before placing online order so I can determine your shipping cost. * The Throne Seat $298 * This just lifts off and is not fastened down. 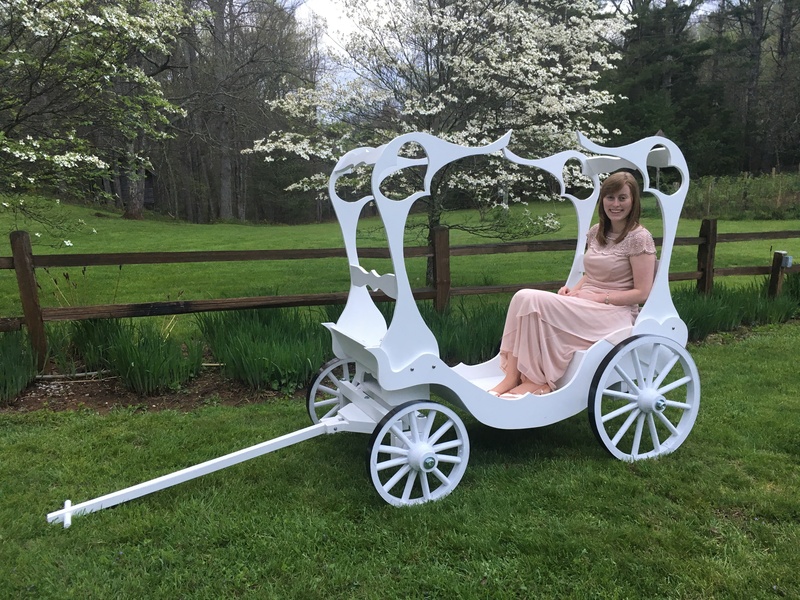 I designed this Full Size Adult Cinderella Carriage for Weddings, Quinceañera Celebrations, Cinderella play productions, and any other special occasion where such a Carriage is needed. This is large enough to comfortably hold one or two adults, yet it is small and light enough that two men can carry it, and fit it in the back of a full size pick up truck. The wheels are extremely heavy duty, made of hickory with steel bands around the rims. 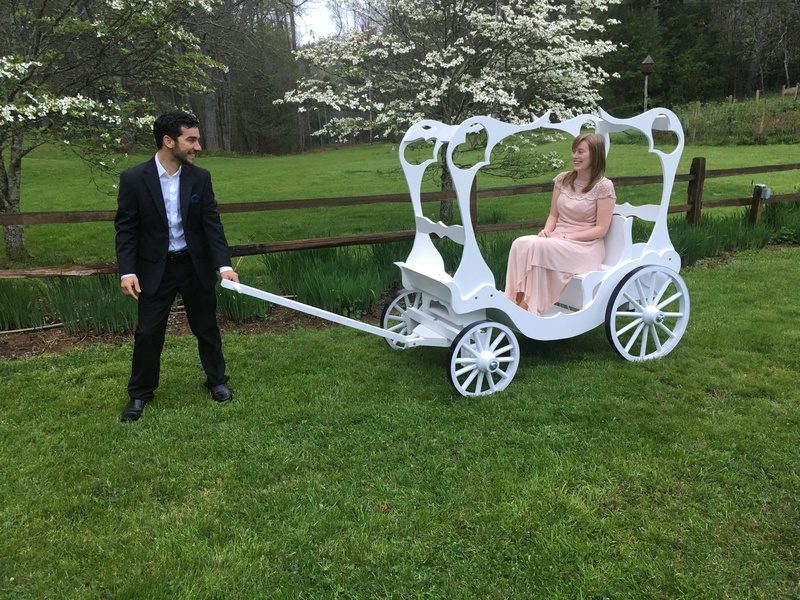 The axles are ¾” steel, our Adult Cinderella Wedding Carriage is made to hold weight. 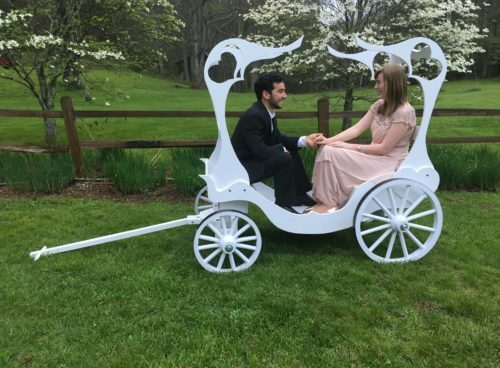 The young man in the photos is 5’ 4” tall, and the young woman is 5’ 6”. The steering is made with a rack and pinion design, so the front wheels turn like a car [each turns in place], which gives this carriage an excellent turning radius. This Adult Cinderella Carriage is designed to be pulled by hand. Brakes are NOT an available option. 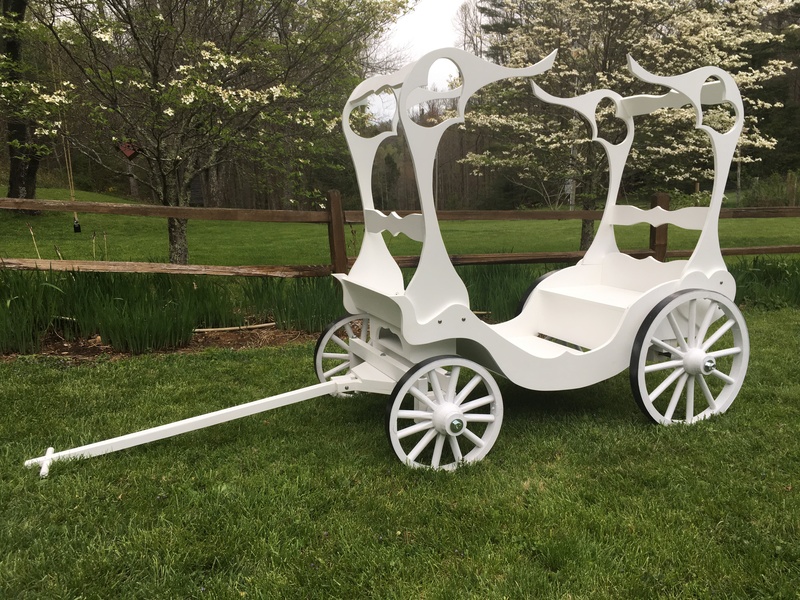 The listed price includes 2 coats of exterior gloss white or ivory paint. Due to size, this carriage must be shipped on a large pallet by truck. It comes to you almost fully assembled. The shipping cost will be adjusted to your specific location. Contact me for a quote.